Advisory editor Dr Henry Summerson, who’s been responsible for medieval coverage in the dictionary since 1993, but is stepping down from that role at the end of September after 25 years. He is writing about how his area has developed in the 25 years of Henry’s tenure. It is a Q & A retrospective. 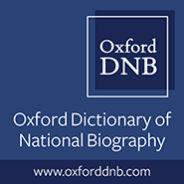 It is twenty-five years since work started on what became the Oxford Dictionary of National Biography. Dr Henry Summerson was a research editor for the medieval area (pre-1500) from 1993, and in charge of the medieval era Dictionary between 2004 and his retirement at the end of September. Here he answers questions about the past achievements and future prospects of the Dictionary’s coverage of Britain’s early history. Question: What did the medieval area look like in 1993? Answer: It was solid, quite wide-ranging, and rather dull, not much more than a useful source of information. A century’s further research had made most of the articles out of date factually. Changes in the way history was approached meant that they were conceptually old-fashioned as well, unable to answer the sort of questions that late twentieth-century historians were likely to ask. Question: How did you hope to remedy this? Answer: By replacing pretty well all the existing articles, and then adding new subjects in those areas – especially science and economic life – where the old Dictionary’s coverage had been thin. We hoped to have more articles on people active in the localities, and to give more space to women. Question: That sounds ambitious. Was the time ripe for this sort of undertaking? Answer: The 1990s was a good time for medieval history, with fine scholars of all ages to draw upon, and there was a much good will. We were also very fortunate in having Barbara Harvey as consultant editor for the area – she commanded a remarkable combination of respect and affection, so that people would do things for her which they would probably not have done for anyone else. Question: How far do you think you succeeded in what you hoped to achieve? Answer: Probably far more than we had any right to expect. Under Barbara’s leadership we covered the ground that the first Dictionary had covered, filled gaps it had left, and extended the range of the pre-1500 area, for instance by including a large number of articles on families and groups, and also on people who originated outside Britain but had a significant effect on events there (this particularly applied to Roman Britain). The new edition contained over 1600 more lives than the old one. There was still an imbalance of gender—unavoidable given the circumstances of medieval life—but at least it was less marked than it had been. Question: And how does the achievement of 2004 look now? Answer: Well, I am still pleased with it. There were mistakes, of course, some of them brought to light by research which the Dictionary itself had stimulated, and gaps have opened up here and there, again made visible by further research. Question: Do you think that filling such gaps has changed the way the medieval area looks today? Answer: A lot of new articles continued developments begun in the edition published in 2004 – foreigners active in Britain, Britons active overseas, more articles on people whose national importance derived from their regional eminence. But there has been one new development in the years since 2004, with the pursuit of completeness in a few fields. We now have articles on all the medieval Speakers of the House of Commons, and all the medieval lord chief justices of the central courts, which means, I think, that all the holders of these offices, in every century, now have articles in the Oxford Dictionary of National Biography. And so, too, do all the bishops between the Norman Conquest and the Reformation. Since there was no such thing as an unimportant bishop in medieval England, it seemed proper (as well as a service to readers) to give space to them all. Question: Is completeness a trend you see continuing? Answer: No, but there are still areas which need a more extensive coverage. We recently set about improving the Dictionary’s coverage of the late medieval religious – monks and nuns – in the end adding about fifty-five articles to the ones already there. Attending to these showed that there were many secular lords and administrators no less deserving of inclusion, and I hope they will get the attention they deserve in the years ahead. We haven’t added many individuals from outside England since 2004, with few new subjects from Wales, Ireland, and Scotland, though I am sure there are candidates worth considering. And I hope that we can also have more articles on people from the often extensive English lordships in France. Question: How can ODNB discover, let alone decide, who is to be included in areas like these? Answer: By looking out for new work, and by keeping in touch with readers, and encouraging them to tell it about new developments. Research never stops, and I hope that those who do it, and make biographical discoveries, will let the Dictionary know what they have done, so that new articles can be added and existing ones corrected – something easily done electronically. As research goes on, the time will doubtless come when entries published in 2004 will have to be replaced altogether. Fortunately that will not be my problem! Feature image: “A View of London, Westminster and Southwark, as they appeared A.D. 1543” by Nathaniel Whittock. Public Doman via Wikimedia. Dr Henry Summerson, is the the Oxford Dictionary of National Biography's advisory editor for the Medieval and Tudor periods. He has worked with OUP for 25 years.